1. Who repairs street lights? 2. Is there financial assistance for children to participate in recreation programs? The Municipality has two programs that provide financial assistance for children to participate in extra-curricular activities - Kidsport and Jumpstart. KidSport™ Canada is a national not-for-profit organization that provides financial assistance for registration fees and equipment to kids aged 18 and under. Through a confidential application process we provide grants so they can play a season of sport. One of our primary goals is to support our network of 11 provincial/territorial KidSport chapters and 177 community KidSport chapters across Canada in their fundraising and sport activities. Canadian Tire Jumpstart is a national charitable program that helps financially disadvantaged kids participate in organized sport and recreation. We help cover registration, equipment and/or transportation costs. They also lend support to unique initiatives aimed at increasing access to sport and recreation programs. Since its launch in 2005, Canadian Tire Jumpstart has given 300,000 kids across Canada the chance to play. For more information on these programs, please contact the Parks, Recreation & Culture Department at 902-883-3387. 3. Are permits required for my building project? Building permits ensure buildings are constructed using the proven safety standards and materials of the National Building Code. Copy of approvals from other government agencies, where required (Nova Scotia Environment for septic and Nova Scotia Department of Transportation and Infrastructure Renewal for road access). NOTE: A location certificate is also required by a surveyor once the footings have been installed. Development permits are issued along with building permits to ensure that the development meets the requirements of the planned area of the Municipal Land Use Bylaw. Generally, Mount Uniacke, Enfield, Elmsdale, Lantz, Milford, Shubenacadie, and a part of East Gore are located in the planned area. Outside of the planned area is the Wind Energy Zone where only wind turbines require development permits. 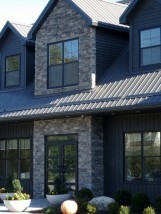 Please call 902.883.3387 to arrange an appointment for your building permit. If you are inside the water distribution serviced area (Enfield, Elmsdale, Lantz and Shubenacadie) you may call the Municipality at 902-883-2299 during 8:30am-4:30pm Monday to Friday and ask to speak with the Supervisor of Drinking Water Operations or the Manager of Water & Wastewater. Actual water chemistry and distribution system data is obtained on a daily, weekly and monthly basis for the entire system and reported quarterly to the Nova Scotia Department of Environment. If you live outside the serviced area and you have your own well system, you may contact either AGAT Laboratories at 902-468-8718 or Maxxam Analytics at 902-420-0203 to obtain a sample kit and complete an analysis at your own expense. 5. What if my water is discoloured? 6. What to do about issues with a landlord? 7. Where can I find job listings? 8. Which school board serves East Hants? Schools in East Hants are now part of the Chignecto-Central Regional Centre for Education. Elected school boards were dissolved in 2018. The Chignecto-Central Regional Centre for Education serves four areas in Central and Northern Nova Scotia. They are named Families of Schools. The Nova Family encompasses schools in the Municipality of East Hants, of which there are fourteen elementary schools, one middle school, and three high schools. There are also four Adult High Schools in Chignecto-Central; one in each Family of Schools. 9. Where are the daycares in East Hants? To report an illegal dump in your community call the Solid Waste Hotline at 1-888-873-3332. The Municipality investigates reports of illegal dumping and work to have the sites cleaned. The second type is a “State of Emergency” which is declared by the Minister responsible for Emergency Management. States of Emergencies can be declared for a specific portion or for an entire jurisdiction (i.e. a specific geographical portion of the province or province wide). During states of emergencies the public is expected to listen to and follow the instruction given by authorities, and to comply with any orders given by the Province. A province wide state of emergency is valid for 14 days and can be renewed should the special powers still be required to manage the event. The Emergency Management Act makes it an offence to inflate (gouge) the price of essential items and services during emergencies. These can include such things as food, water, clothing, essential equipment, medical supplies or other essential goods and services. Citizens are encouraged to contact their local police to report any suspected cases of price inflation during emergencies. Anyone who suspects they have been the victim of price gouging should retain all relevant receipts. 12. How do I start a business in East Hants? Starting a business can be overwhelming. The Business Development Officers in East Hants are there to help. More information is available the the Start a Business section. 13. What is a local state of emergency? 14. Where can I get help to immigrate to East Hants? For information on immigrating to Canada, please visit the Government of Canada's Citizenship and Immigration website. 15. Do I have to pay my tax bill if I am appealing my assessment? 16. Am I paying less property tax under the Property CAP Program? Information on the provincial CAP Program is available online. 17. How do I have my meter replaced? 18. Why did I get a water meter replacement letter but my neighbour did not? 19. Does my home need a BFP device? Single family homes are considered a minor hazard to the water supply. Although homeowners are not required to install a BFP device, they are encouraged to install one to protect their homes from the potential of contaminated water. 20. Where can I get contact information and phone numbers? Here are the telephone numbers for key contacts at the Municipality. 21. How do I get a dog license? The Municipality requires that your dog is licensed every year. For more information on licencing your dog, visit our page on Dog Control. 22. Is funding available for my community group? Community Grants are designed to encourage community recreation in a manner consistent with the recreation principles, goals and plans of the East Hants Municipal Council. In addition it is to be used to improve the quality and quantity of community recreation opportunities by financially assisting groups with New Recreation & Culture Initiatives, Leadership, Youth Programming and Aquatic/Outdoor Skating Programs. Community Grants are received and assessed on an “as needed” basis. In addition, it is the policy of council to approve only one community grant per year (April 1st - March 31st) per group. It is also a policy of Council to encourage community commitment to an initiative by not exceeding community contributions to projects being considered for grant assistance. For more information, please contact the Recreation & Culture Department at 883-3387. 23. Where do I get information for the RCMP? 24. Does East Hants have a Town Crier? 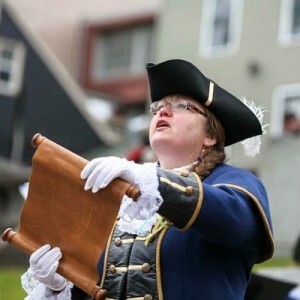 Anita Benedict is the East Hants Town Crier. Yes, East Hants has a Town Crier. Anita Benedict, of East Noel, applied for the position after learning about it at the annual Lieutenant Governor's Garden Party in Halifax in June 2013. The Municipality of East Hants began looking for a Town Crier to fill the vacancy after Bob Raoul announced his retirement. Benedict became the official town crier for the Municipality of East Hants in September 2013. Contact the Town Crier well ahead of your planned event to book her attendance. 25. Where do I get property tax information? Tax Bills are sent to property owners twice a year - an interim bill in April and a final bill in August. The final bill has complete property assessment information, local improvement charges (if applicable), area rates charged on the account and account balance information. The interim bill provides property information and account balance information. Tax Bill reprints can be done at a cost of $10/reprint (Bylaw F-200). Tax Certificates provide certified current tax account information. The cost is $60 and all requests must be received in writing. Tax Account Statements can be issued at a cost of $10/statement (Bylaw F-200). To obtain a Tax Bill reprint, a Tax Certificate or Tax Account Statement please fill out the form and contact the Tax Administrator at 902-883-7098 ext. 227 with your completed form. 26. What are the tax rates in East Hants? East Hants tax rates are posted online. 27. What is a Cross Connection Control Program? In East Hants, it is a program whereby the Municipality has authority to administer, regulate the selection, installation, testing and maintenance of backflow prevention devices. The program also seeks to educate water customers on industry best practices to prevent cross connections. 28. How to pay tax & water bills? For your ease and convenience, there are several ways to pay tax and water bills in East Hants. 29. What is the purpose of a Backflow Prevention Device (BFP)? Backflow Prevention Devices (BFP) are installed to minimize risk of a potential contaminant entering the distribution system from a customer’s property. This helps to protect the public’s safety by preventing drinking water contamination. 30. Where can I find information on tax sales in East Hants? An information package on each property up for sale will be available 60 days prior to the tax sale date. Sign up for our Tax Sale emails to keep up-to-date on the latest news and information. 31. When are tax bills due? Spring tax bills are due on June 1st of each year. Final tax bills are due on September 30th each year. There are up to four notices sent throughout the year to property owners whose accounts are in arrears. The notices are sent in July, October and January, as well as in the Spring when necessary. Initial collection proceedings begin at the end of June on properties that are subject to Tax Sale. 32. Who can apply for the Municipal Tax Assistance Program? 33. What are the water utility rates in East Hants? The Municipality of East Hants is serviced by the East Hants Water Utility. The Utility services the Lantz, Elmsdale, Enfield and Shubenacadie areas. Read more on water rates. 34. How do I connect or disconnect my water? FOG is an acronym for fat, oil and grease. 36. 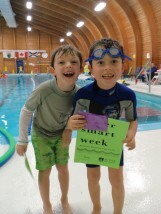 Where can I find out about the new aquatic centre in East Hants? 37. What is a grease trap? A grease trap is a plumbing device designed to trap fat, oils and grease (FOG’s) and prevent them from entering a wastewater system. 38. How does grease trap work? Once the wastewater cools, fat, oil, and grease (FOG) harden and float to the top and the food solids settle at the bottom. The wastewater is forced through the grease trap and out to the sanitary sewer. 39. Why is a grease trap important? 40. When is my water bill due? 41. Pipe Ownership - For what am I responsible? East Hants is responsible for the water and sewer mains and short lengths of laterals which are located under the street and end at your property line. You are responsible for the repair and maintenance for your water and sewer laterals, which are the pipes and connections running from the property line to your house . Please click here for our helpful info-graphic. 42. What is water disinfection? Disinfection is a critical process of water treatment. The goal of disinfection is to kill or destroy harmful bacteria and viruses in the water that can cause sickness, disease and even death. 43. Why is chlorine used as a disinfectant? Chlorine has been shown to be an effective agent against waterborne bacteria and viruses. 44. Is water with chlorine in it safe to drink? 45. Why do I smell and taste chlorine in my water? The Nova Scotia Guidelines for Monitoring Public Drinking Water Supplies require that where a chlorine disinfection system is being used, a minimum free chlorine residual of 0.2 mg/L should be measured at all points in the water distribution system and must not exceed 4 mg/L at any time. 46. I don't like the taste of chlorine in my water. What can I do? Storing water in an uncovered glass container in the fridge overnight will allow the chlorine in the water to dissipate. As well, activated carbon or charcoal filters can remove the background taste of chlorine. 1. Where can I find information on accommodations? 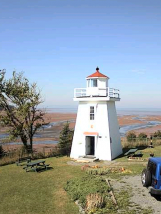 The Visitors section of the East Hants website lists places to stay in East Hants, including B&Bs, Cabins and Campgrounds. 2. What is there to do in East Hants? There are so many fun things to do in East Hants! 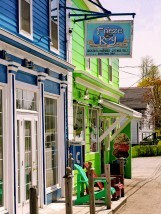 East Hants is the perfect blend of urban and rural communities so there is always something to do. Here are 10 of the top things to experience in East Hants. 1. Where can I get contact information and phone numbers? 2. How do I connect or disconnect my water? 2. How do I start a business in East Hants? 3. Where can I get help to immigrate to East Hants? 4. Does my home need a BFP device? 5. Where do I get information for the RCMP? 6. How to pay tax & water bills? 7. What is the purpose of a Backflow Prevention Device (BFP)? 8. Where can I find information on tax sales in East Hants? 10. Where can I find out about the new aquatic centre in East Hants? 11. What is a grease trap? 12. How does grease trap work? 13. Why is a grease trap important? Meetings of the Executive Committee and Council are listed on the Council Calendar. 2. What does a municipal Councillor do? What is a Municipal Council’s main function? The Council of every Municipality is essentially responsible for making policy and high level governance decisions about the Municipality. They adopt strategy, pass bylaws and policy and adopt budgets. The administration of all these instruments is then left to the staff to carry out in accordance with the wishes of Council. What should I expect as a Municipal Councillor? As a Council member you are expected to be in-tune with your community’s needs and seen as a representative who makes decisions in the best interest of all of East Hants. You will be an important point of contact by members of your community who will have issues and opinions to share on how the community should be run/changed. You will bring ideas to Council to consider. In many cases your role will be to share information about Provincial programs and regulations or to provide contact information for other agencies. What is the compensation for East Hants Municipal Councillors? Councillors shall be paid an amount every two weeks dependent on the distance they are located from the Municipal Offices. Unless otherwise determined this amount shall be adjusted upward each April 1 by the CPI for Nova Scotia, the same as what is used to adjust staff compensation. Please refer to the Council Remuneration and Travel Reimbursement Policy for more information. How much power will I have as a Councillor? Individual Councillors have little power of their own. Their power is in one of 11 votes cast by Council members, who by majority vote, decide what the community will look like and what projects will be undertaken. The responsibility and authority of Municipalities is set out in the Municipal Government Act and several other less significant pieces of legislation. For example, the water rates are set by the Utility and Review Board by application approved by the Municipality. What kind of topics will I be voting on? As a Councillor you can expect to be involved in votes that set annual budgets- both operating and capital and adopt strategy on a wide range of things including planning and land zoning, economic development, recreation assets and programming as well as solid waste. Council is also responsible to decide what Municipal laws will be set (Bylaws) and gives the CAO direction on how to administer the affairs of the Municipality through policy adoption and direction through motions of various sorts. As a Councillor how often do I attend meetings? All of Council sits on the Executive Committee that meets for a full day each month and attends a one evening Council meeting per month. There are a few other external and internal committees that you may be asked to sit on which meet as often as monthly but many more sporadically. The conduct of an individual Councillor is governed by a Code of Conduct that is adopted by Council itself in its Council Procedural Policy and certain legislated provisions such as in the Conflict of Interest Act and the Municipal Government Act. 3. How can I find out about expenses for Council and the CAO?